Pitchero ACES Nationals are proud to announce Pitchero as the main event sponsor for this year’s football tournament. Pitchero has developed into the UK’s leading grassroots sports network over the last 10 years, uniting millions of players, parents, coaches and club officials through one online platform. They provide clubs with the tools they’ll need to easily run a sports team online, helping attract and retain players, boost finances and save time to get teams out of the office and back on the pitch. You’ll be able to keep your teams up-to-date with a customisable club website, get organised with mobile apps and use innovative video technology to record and share match highlights. Don’t worry, Pitchero have a brilliant team on-hand to help you get started. Pitchero follows important values as a company, one being to champion top-quality grassroots sport. 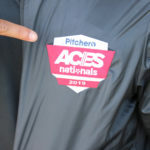 Whether it’s players, teams, clubs or leagues, they’re always after a bit of the action and Pitchero ACES Nationals is a fantastic opportunity to celebrate some of the junior grassroot greats.